Your teenage girl is changing, and her likes and dislikes seem to shift back and forth very quickly. 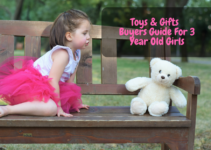 This can make it difficult to spend quality time with her or figure out what to buy her for a gift or toy. We understand this, and this is why we put together a short guide on the best toys and gifts for teenage girls, so you know what you can most likely expect from your teen because of her development. We also rounded up 10 of the best gifts and toys for teenage girls so you can compare them and see which one your teenager would like. Whether it’s crafts, electronics, or makeup, we covered it all. Our mini-reviews make it easy to figure out if the specific pick would be a good choice for your teenager or if you should keep looking. Your teenage girl has a lot of changes happening very quickly. She can be happy and laughing one second and gloomy the next. This is all normal, but it does make parenting slightly more difficult. Your teenager is going to continue to develop her independence, and her friends are going to be more important than ever. Your teenager may start to get more vocal about her opinions of the world at large, and you want to respect them even if you don’t necessarily agree with them. Also, your teenager may start to pull away from the family and focus more on her friends during this time, and that’s normal as well. You want to maintain open lines of communication with your child during this time, and let her start making her own decisions. Your teenager will start wanting her own things and her privacy. So, a journal is a good gift to consider. She’ll be able to write down all of her thoughts on paper and have it all in one secure place. She may like sports memorabilia or equipment, or things that encourage her to get outside and be active. 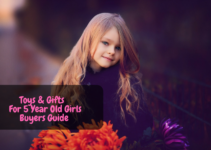 If she likes makeup, hair accessories, or if she likes to get creative with jewelry making kits, these are all good choices for gifts. Most teenagers are attached to their phones and their music, so a Bluetooth speaker could be a great way for her to listen to her music on the go. A small garden kit is another way to teach your teenager about responsibility, and she’ll get to enjoy watching her plants thrive. Teenagers love their music, and this wireless mobile Bluetooth speaker is a fast and easy way for them to take their music everywhere. 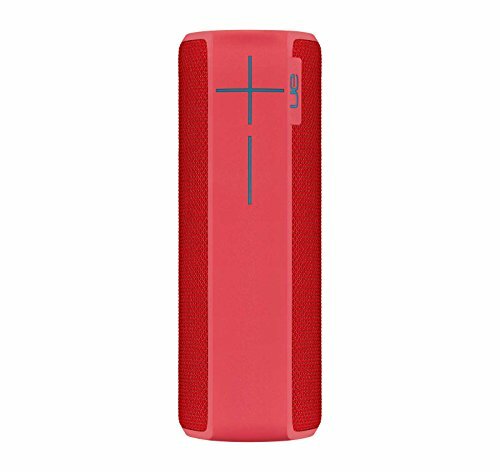 It’s waterproof and shockproof, and the unique shape gives your teen 360-degrees of room-filling sound. Your teen can pair up to eight different Bluetooth devices to this speaker at a time, and it has a 100-foot range. Your teen will also enjoy up to 15 hours of battery life on a single charge. She can control the speaker from a simple phone app, and she can pair up three or more speakers at a time. These organic and luxurious bath bombs can be the perfect way for your teen to relax. 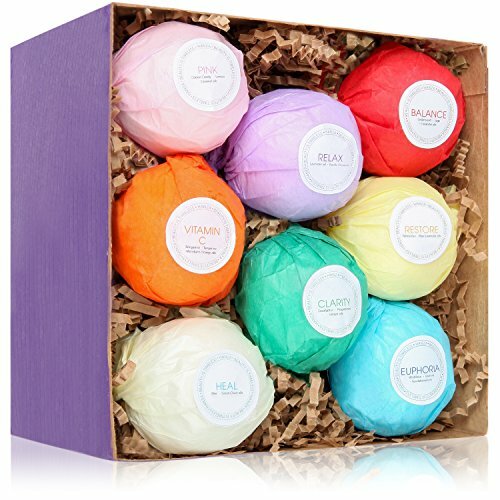 They love their beauty and bath products, and these organic bath bombs are made with a blend of essential oils and moisturizing shea butter. They have a pleasant scent, and they’ll leave her skin feeling soft and smooth. The HanZa bath bombs don’t have any harsh chemical additives or dyes, and this means that they’re great for all different skin types including sensitive skin. They’re all individually wrapped and presented in a pretty gift box with instructions on the side. This hoverboard comes in five different colors, and it can travel at eight miles an hour for up to 11 miles between charging times. 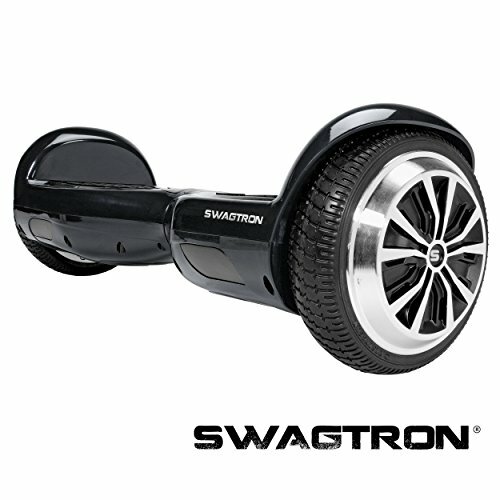 Your teen will enjoy LED lights, rubber bumpers, battery indicators, and two different riding modes. It’s an excellent tool to help your teen balance and work on her coordination, and it has a powerful 250-watt motor. It also comes with a one-year hassle-free warranty so you can return it quickly and easily in the event of damage. If she runs out of battery, the unit will come to a safe rolling stop. This bright and fun mermaid tail blanket comes in two different sizes. It is made out of a stretchy Orlon and breathable cotton blend. 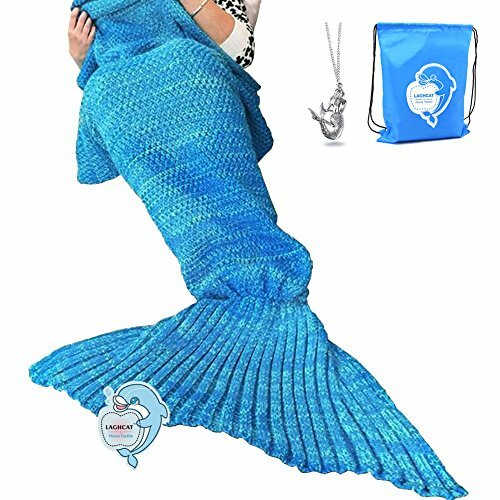 The Laghcat Mermaid Tail Blanket is a lightweight choice that your teen can use all year round. It’s thick enough to keep warm on those chilly winter nights and breathable enough to use in the warm summer months. It’s machine washable, and you can dry it on tumble dry in your dryer for easy care and maintenance. She can use it either as a lap blanket for as a full body blanket as well. 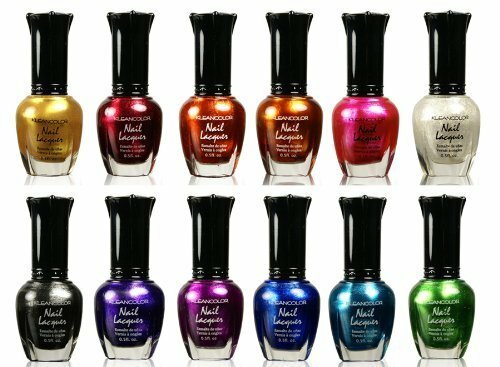 These bright and bold metallic nail polish colors are sure to make your teenager stand out. They feature a smooth application process for beautiful, bright nails. They’re designed to be long lasting and require minimal touch-ups. This nail polish comes with a very distinct fruity scent, and they’re designed to be rapid-drying. You’ll get dry nail polish in around seven minutes for thinner coats. They’re also bright enough colors that most of them dry in one coat. Your teenager can apply these in the morning and have beautiful nails during the school day. This compact kit is the perfect starter kit for any makeup artist. 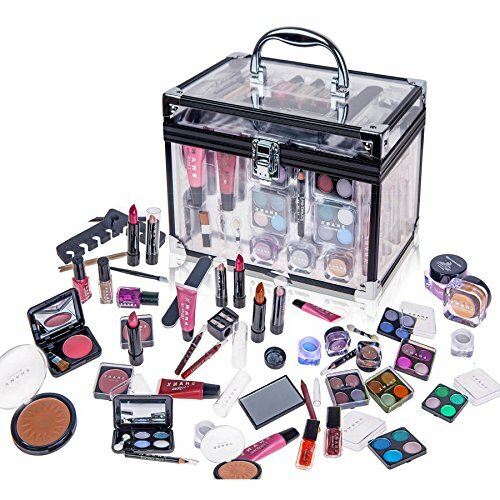 Your teenager will enjoy several fun eye shadows, blushes, nail polishes, powders, and application mirrors. There’s also lipstick and lip gloss along with manicure and pedicure accessories. You get over 10 beauty accessories in addition to all of the different makeup pallets, and it all stores in a clear compact case for easy storage. Your teenager will be able to practice her makeup skills as much as she wants. All of the products in this kit are made in the USA to very high standards. 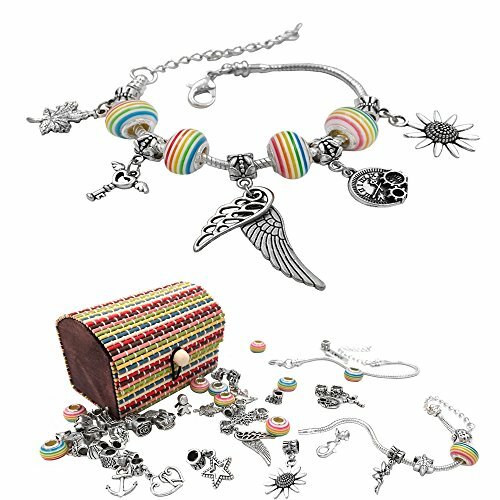 This bracelet making kit comes with 20 metal beads, 10 glass beads, and 15 dangling charms. This fairy tale-inspired collection has Cinderella’s shoe, Tinkerbell, mermaid-inspired designs, and much more. A single kit can make three complete bracelets, so she can share them or keep them for herself. Your teen can mix and match these different beads to create unique bracelets. They come packed in a pretty and colorful bamboo box that she can keep for her other jewelry. You also get the stretchy bands to put the beads on, and they stay on with a lobster claw clasp. 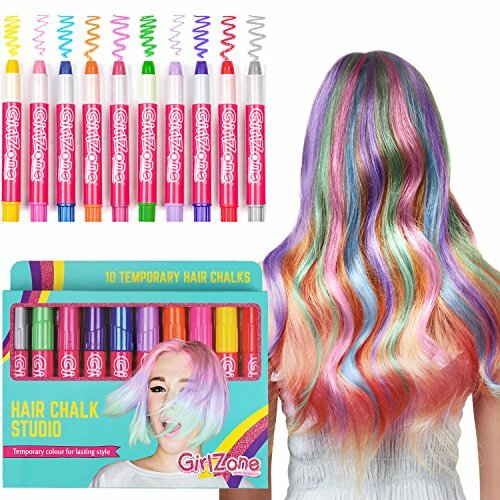 These temporary hair chalk pens are very bright and easy to use. They can double up as face paint as well, and they’re a nice alternative gift. They wash out easily, and the bright and vibrant colors are sure to be a hit. These hair chalk pens work on all hair types and styles, but lighter hair does show the colors better. For longer-lasting color, seal it into your hair with a straightener. These colors are only temporary, and they come out with one wash. It’s also stain-resistant, so you don’t have to worry about your clothing or furniture. 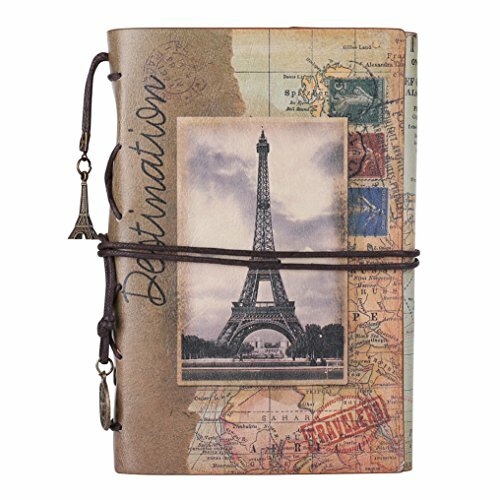 This journal comes with a high-quality leather binding, and you can refill the pages as many times as you want. It comes with several small metal charms and a leather tie closure so you can keep your writing secure. This notebook features a very slender and compact design that makes it easy to slip into your bag and take with you. Your teenager will love having a space to plan out her day or write down her important thoughts all in one convenient place. You get 80 sheets of paper, and your teen can customize this journal to suit her personality. This compact garden kit has everything your teenager needs to build her own terrarium garden. It comes with easy to grow Polka Dot plant seeds, rocks, soil, the container itself, and gold tape to add to the edges. Your teen can learn how to take care of her plants with this kit. 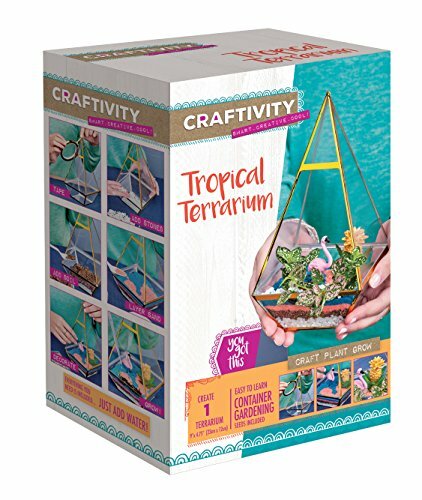 This kit also comes with a bright flamingo, a pineapple, and colored sand so your teen can create her own tropical paradise. It’s compact enough to sit on a desk or hang by the window, and your teen can watch her new tropical paradise grow day by day. No matter what type of activities your teenager likes to do, our roundup of the 10 best toys and gifts for teenage girls will give you a large variety of items to choose from. Makeup, crafts, gardening, journalism, electronics, and more; we have something for almost every teenage girl to enjoy.